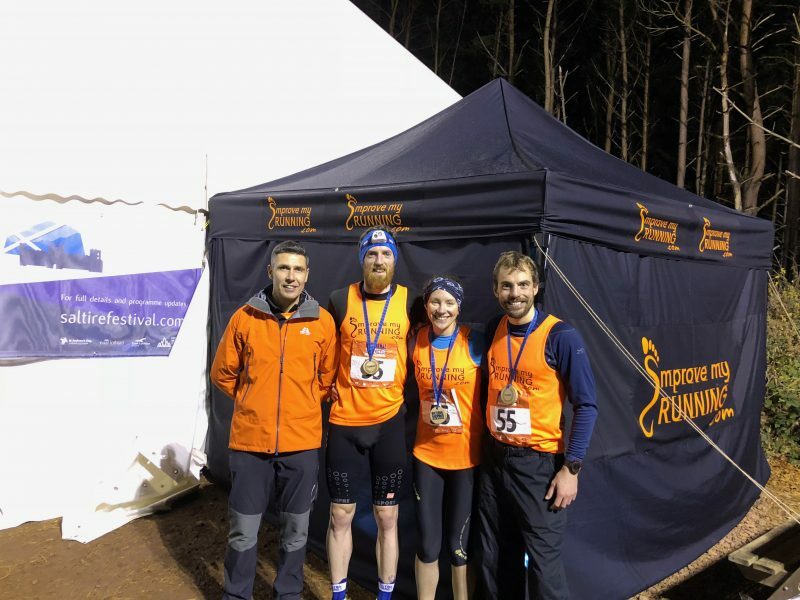 The IMR Team had a fantastic time at the FoxTrail 6hr Nocturnal Marathon in December. Jo Newans came 3rd in a hotly contested podium with a tremendous 60km totalled. Our relay team, comprised of IMR coach Aisling alongside IMR Team Athletes Eóin Lennon and John Busby, managed not only first mixed but first team overall with a huge 90km between them. Also great performances from Roger Peppiette and his daughter Rosie, and from at least a dozen other Running School course graduates over the weekend. An excellently organised event in a perfect location, the race set off in atmospheric smoke as the last of the day’s sun set over the lake. The novel relay format provided plenty of fun with fireworks marking the final lap of the 5km course which ran through forests, across beach and through the lively disco barn, and a massive well done to all who completed the 6hr distance single handed. We are proud to sponsor the FoxTrail race series.